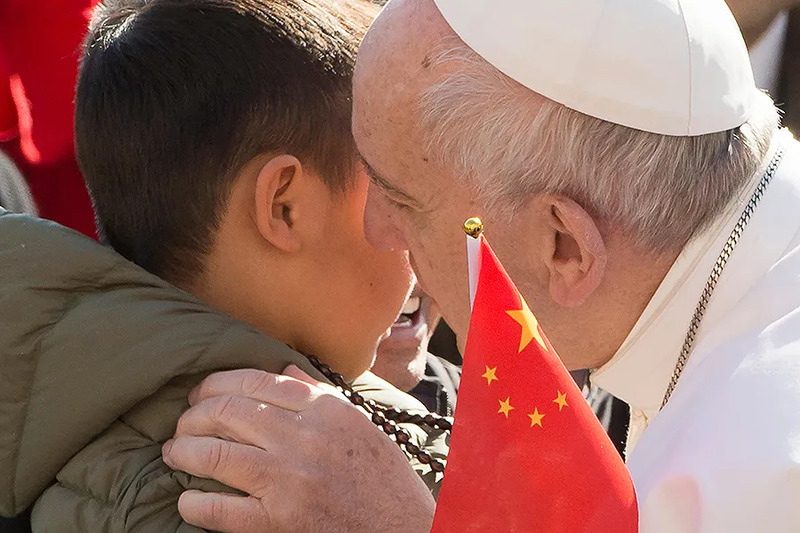 The group of faithful, some of whom approached the Holy Father on their knees, held Chinese flags and amid sobs, asked for him to bless a statue of Our Lady of Fatima they had carried into Saint Peter’s Square. Vatican City, Jun 29, 2017 / 11:49 am (CNA/EWTN News).- Newly-appointed metropolitan archbishops from around the world received the traditional woolen vestment called a pallium during a special Mass with Pope Francis on Thursday. For the three new metropolitan archbishops of American sees, the experience was a reminder of their mission as shepherds of their local Churches, called to follow God and lead others to him. He is inspired by their great love for Christ and the Church, he said, and by the courage with which they went out into the world after encountering the Risen Lord. Archbishop Charles Thompson of Indianapolis told CNA he knows he has a lot to learn and get to know in his new role, but he’s looking forward to serving God and serving the people of God as the shepherd of the local Church. After the Mass, each archbishop has an opportunity to greet the Pope. For Archbishop Thompson, this was his first personal encounter with Francis. Though the meeting was brief, Pope Francis “had a glow, had a great smile on his face,” he said. “Don’t let it overwhelm you. Trust in the Holy Spirit. Trust that God gives you the grace to fulfill this mission. And I’m banking on that, because I’m the least worthy of anybody here,” he said. Archbishop Etienne said that it was “a great privilege and a great honor” to receive the pallium from Pope Francis. For Cardinal Joseph Tobin of Newark, this was his second time receiving the pallium, the first being when he was appointed Archbishop of Indianapolis in 2012. 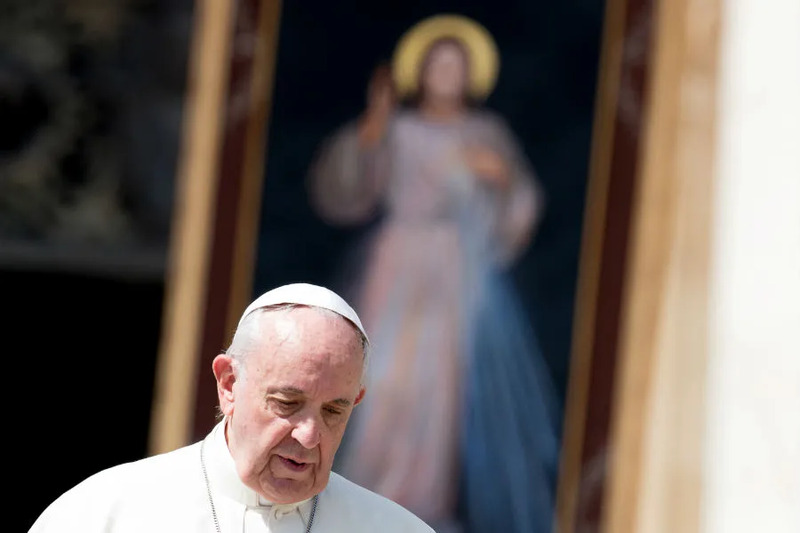 “It’s always a very moving moment to be with the Holy Father, to feel the connection with bishops from around the world and to deepen what it means to be a bishop,” he told CNA. He explained that out of all the vestments he has to wear, his favorite is the pallium, which is a stole made from white wool and adorned with six black silk crosses. The wearing of the pallium by the Pope and metropolitan archbishops symbolizes authority as well as unity with the Holy See. One significant thing about the pallium, Cardinal Tobin said, is the symbolism found in how it is worn: around the shoulders. It shows “the obligation of the bishop to look for the one who’s lost, and carry that one back on his shoulders. So that’s why when I put it on my shoulders, I remember that,” he said. It is traditional for the Pope to bestow the stole on new archbishops June 29 each year. The rite is a sign of communion with the See of Peter. It also serves as a symbol of the metropolitan archbishop’s jurisdiction in his own diocese as well as the other dioceses within his ecclesiastical province. However, as a sign of “synodality” with local Churches, Pope Francis decided in 2015 that new metropolitan archbishops will officially be imposed with the pallium in their home diocese, rather than the Vatican. 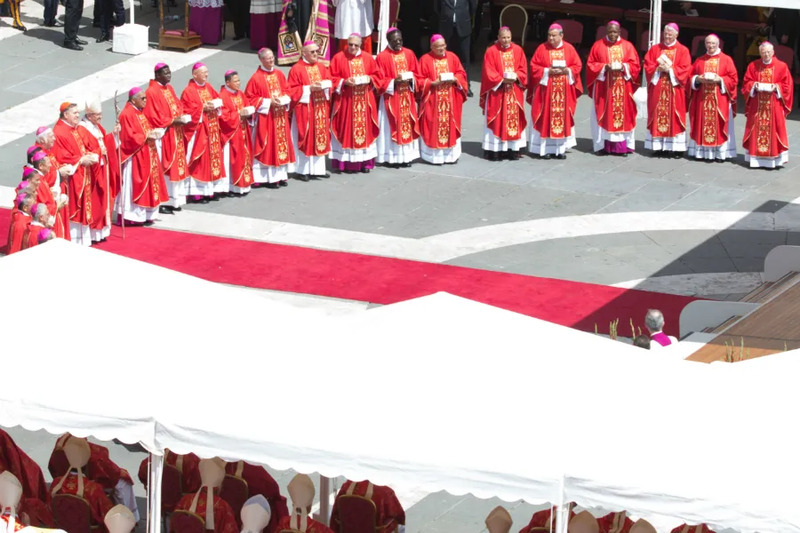 So while the new archbishops still journey to Rome to receive the pallium during the liturgy with the Pope, the official imposition ceremony is in their home diocese, allowing more faithful and bishops in dioceses under the archbishop’s jurisdiction to attend the event. Archbishop Etienne was installed as Archbishop of Anchorage on Nov. 9, 2016, so he’s had a few months to begin settling in. “The people in Alaska count winters, so I’ve been in Anchorage one winter now,” he laughed. Though the weather is cold, the people there are warm, he said, noting that they have all been grateful he accepted the appointment, since it isn’t easy to live in Alaska. Both Archbishop Etienne and Archbishop Thompson said that learning about their new appointments came as quite a surprise. “It’s a shock anytime you get one of those phone calls,” Archbishop Etienne said. Archbishop Thompson, who only received his appointment June 3, said the last few weeks have been “a whirlwind,” especially having to plan so quickly for a trip to Rome. When he received the phone call, he had just returned home from saying an ordination Mass for new priests in his diocese, Evansville. In his homily that day, he said he had preached about missionary discipleship and how one cannot be comfortable or complacent in an assignment, but must be prepared to go out to the people, since it’s the Lord who calls us and sends us. “I would say it certainly gets me on my knees, to pray for wisdom and light, and to pray for the people and all their needs,” he said. During his time, Cardinal Tobin has come out strongly about the issue of immigration in the U.S., in May issuing a call for Catholic and political leaders to work in defense of immigrants. “I think it’s a very delicate moment in our history,” he said, both for the many immigrants in the U.S. and for the American soul in general. “Because I think that there are so many things that brutalize the American soul, beginning with abortion, proposals for euthanasia,” he said.